They were always with our Prophet (saw). Love, mercy, ethic, peace, and greetings: they learned them all from him. Most of all they learned how to be a Muslim. The did whatever he said. They followed wherever he went. They did not leave him alone even for a moment. Now, each of them is telling us about their lives, their friends and the time they spent with our Prophet (saw). Each story is more precious than the one before it. Do you want to know them and spend 365 joyful days together with them? 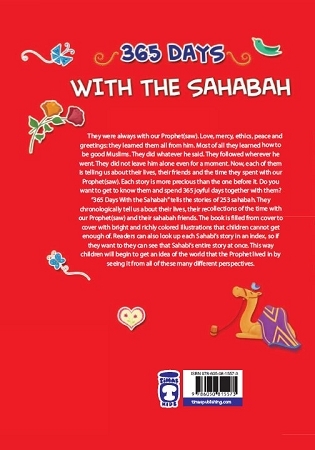 “365 Days with the Sahabah” tells the stories of 243 Sahabah. They chronologically tell us about their lives, their recollections of the time with our Prophet (saw) and their Sahabah friends. 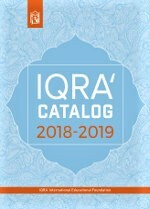 The book is filled from cover to cover with bright and richly colored illustrations that children cannot get enough of. 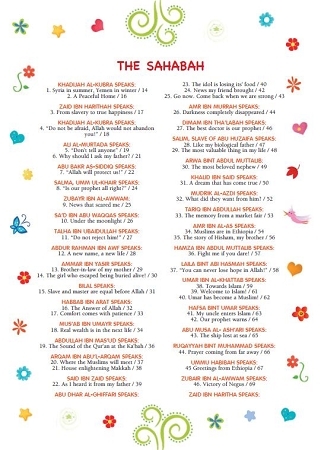 Readers can also look up each Sahabi’s story in an index, so if they want to they can see that Sahabi’s entire story at once. This way children will begin to get an idea of the world that the Prophet lived in by seeing it from all of these many different angles. 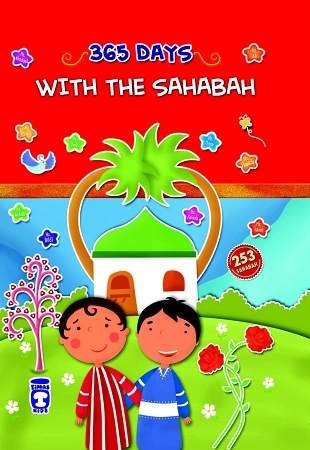 My 6 year old loves this book , awesome collection of the sahabah and teachings , easy to understand for little kids . Suitable for kids 6 and above .